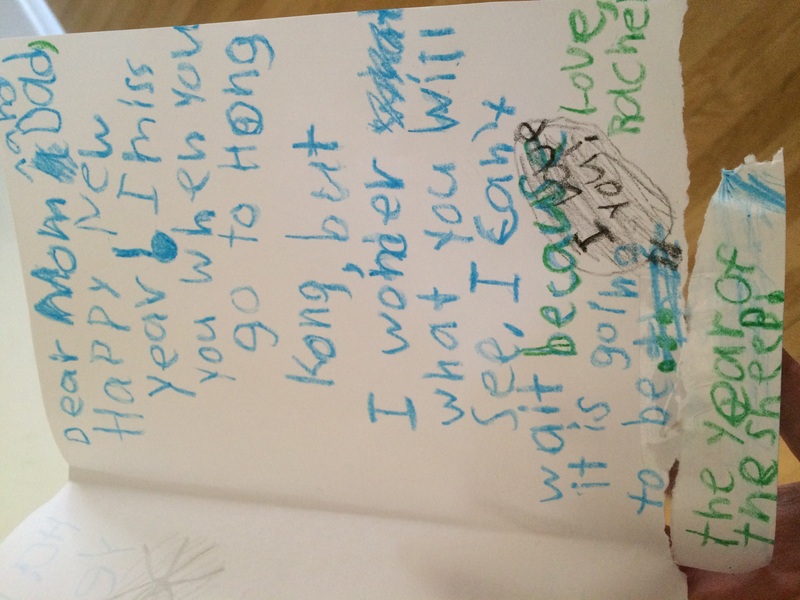 My daughter Rachel made this card for Tom and me today, and I just love it! 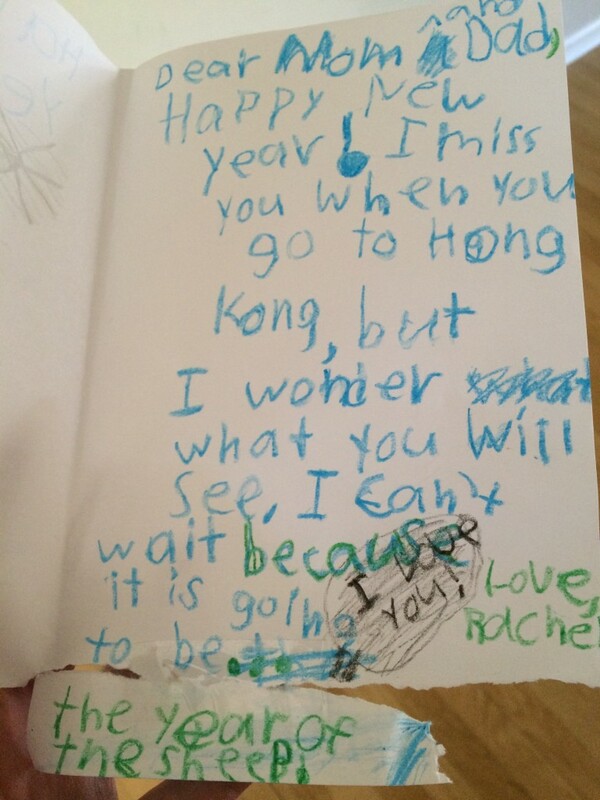 Although I’ve only been to Hong Kong twice since all my kids were born, these trips have obviously left a mark on Rachel. I love how she is looking forward to the Year of the Sheep. Thank you for the amazing support this year, and for reading and reviewing Good Chinese Wife (it’s still not too late to review it on Amazon!). May 2015 bring happiness, peace and good health to all.